The Safco Onyx Mesh 3 Horizontal 5 Upright Desk Organizer is a stylish and space saving sorting unit that is perfect for any workstation. It is not too bulking and does not obstruct the view from the desktop. 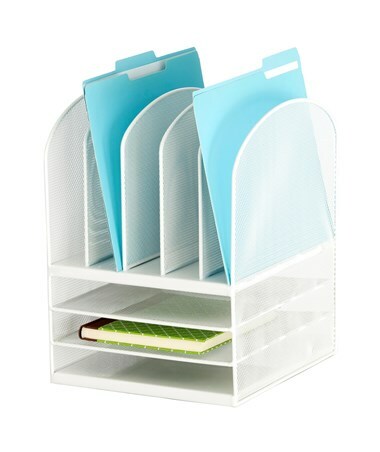 It has five upright compartments and three horizontal trays that can accommodate letter-size papers and other documents. 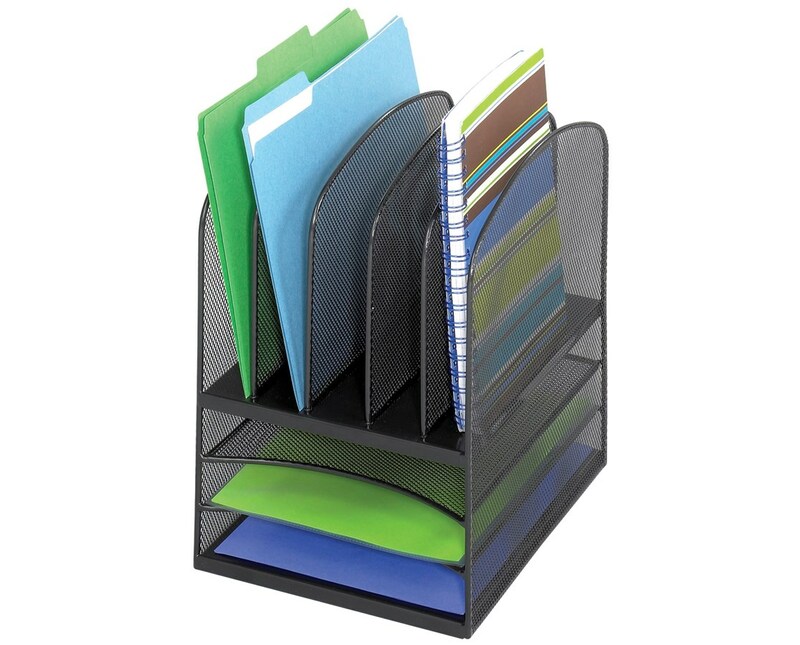 This desk organizer is constructed from steel mesh and has a powder coat finish. It is also GREENGUARD certified for meeting the product safety standards for indoor use. 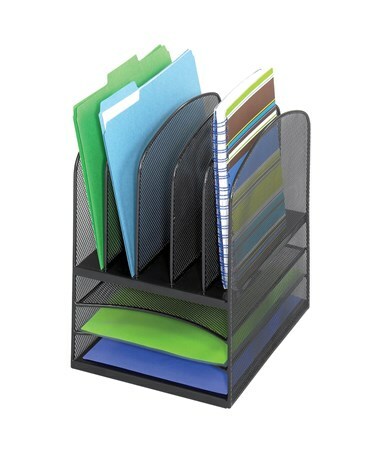 The Safco Onyx Mesh 3 Horizontal 5 Upright Desk Organizer is available in two different colors. Please select your preference from the choices above.